Help a small, local business out! They are indeed in the old Caruso's site, and we have had wonderful meals there. Parking is fine on the side streets. My understanding is that they have well-priced lunch specials but I have always gone for dinner. As the original poster mentioned, the women who run Red Ginger are among some of the nicest you'll meet. They are sisters---the chef-sister worked at the well regarded Kao Sarn Restaurant in Richmond, CA before moving to this area. From what I have heard, the other sister started Red Ginger with the woman who is now involved with Thai Fusion---word on the street has it that it was not an amicable split.Red Ginger's meals and ambiance are thoroughly delightful---I'll make a point of eating there again soon to support such a high quality establishment! This is distressing news! I do not think I have missed any Thai restaurants between Keizer and Albany and I believe Red Ginger is the best in the mid-valley. To think of it closing hurts my heart! If you haven’t tried this wonderful place, do, while you still can. If there is an eatery worth saving in Salem/Keizer, this is it! Maybe we should be encouraging them to relocate downtown. Location, location, location! I've been wanting to try them, but Keizer is very far from S Salem so its difficult to want to drive there when looking for a place to eat. I will have to give them a try someday soon I think! I drove by El Turbo on High ST NE today and saw a closed sign in the window! Horror of horrors! Anyone know what's up with that? I give a resounding thumbs up for Red Ginger! After trying just about every Thai joint in town - Red Ginger is heads and shoulders above the rest! You get the filling & delicious food, without feeling like your veins are filled with cooking grease. My husband & I love their green curry (just enough spice to not kill ya!) & their egg rolls are killer! Stop in & say hello to the the two women who own & run it -- they are gems! Mrs. Parker, I think you are quite right. Since my 8/25 comments I have been back to Red Ginger twice and returned to several other Thai places. I agree that Red Ginger is the best in the mid valley. Let's show this great place our support! My husband and I just ate here for the first time. We loved it!! 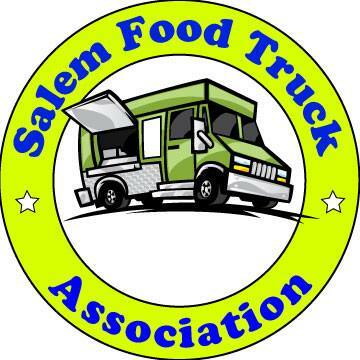 We are Thai food fans and have tried just about every place in the Salem area. We never should have waited so long to try Red Ginger. Keizer is not that far from South Salem! We went in on a Saturday around 6, expecting it to be busy or perhaps a wait. There was one other couple in the restaurant. While we were eating, a large party arrived and were seated upstairs. Then another couple came in. This should not be!! This place is WAY too good to be empty. We were seated in the darling ground-level dining room, presented with menus and little plates of salads. We ordered a couple Thai beers and an appetizer called Golden Bag. It was described as cream cheese with crabmeat wrapped in wonton sheets and deep-fried. What we got was a beautiful presentation of 8 wontons that looked like they'd been scrunched and tied off at the top and fried. The filling tasted a lot more like pumpkin or squash or something very seasonal and comforting. I didnt notice any cream cheese, or detect what or if any seafood was inside, but the thought of a Thai restaurant that actually changes their food with the seasons instead of keeping the same menu year-round was so much better than dwelling on what we thought we had ordered. We devoured the "bags". They were crispy, crunchy, soft inside with delightful filling and the sauce was a perfect complement. YUM! I ordered the Deluxe Noodles and my husband ordered the Pineapple Mussel Curry. When our portions arrived, they were huge! The Pineapple Curry was in a dish about the size and shape of a small sailboat, piled high with vegetables and mussels. A bowl of rice came with it, as well as a plate for discarding shells. It was a delicate red-curry sauce with tons of veggies and an awesome tang from the pineapple. My noodle dish was a thick yellow curry broth, loaded with vegetables, shrimp, tofu and chicken. Te garnish was beautiful, with crumbles of peanuts and fresh cilantro leaves. So good! The green beans and baby corn were cooked a little soft for my taste, but the flavors were amazing. Something I've never experienced in any other local Thai restaurant was super-juicy chicken slices in my soup. It seems it can often be so dry and kinda flaky. Everything was delicious! This is without a doubt the best Thai food I've had in Salem or Keizer. We will be back many times, and if you havent gone yet, you should! The service was so nice here, as well. The woman who kept checking on us must have been one of the owners. She smiled a lot, asked us if we "liked the taste", and kept our waters filled. When she saw I could not conquer my large portion, she suggested boxing up the noodles and veggies separately from the broth, so that the noodles wouldn't soak everything up and get soggy. A very kind gesture. Great end to a fantastic dinner! Just had another AMAZING $7 lunch at Red Ginger!!! Love it! Please facebook friend this place. They have the cutest/saddest posts because they are trying to get to 50 friends. The food is delicious too! Just went there hungry for their special love last night and found the place dark and locked a full one hour before posted close time. And it wasn't even like they had just closed, there wasn't a soul around. I hope this isn't a bad sign and they're closing since their style of Thai is so unique and delicious. However, if they just decided to close early on a whim, then shame on them. It's far out of my way, takes a long time to get there, and then to find them closed during posted business hours is not going to make me excited about going there ever again.